Get into art, literally! The Mattress Factory contemporary art museum in Pittsburgh presents installation art in room-sized environments, created by in-residence artists. Located on Pittsburgh's North Side since 1977, the Mattress Factory (named for its location in a former Stearns & Foster Mattress Factory Warehouse) is considered the best facility for installation art in the country. The avant-garde art is sometimes a bit bewildering, but always fun. This research and development art lab for artists from around the world invites fifteen each year to design and build their art in place at the museum. The exhibits are definitely original and will leave your senses reeling. Previous installations include Rebecca Holland's floor of inch-thick green apple candy; Buzz Spector's Cold-Fashioned Room, a frozen room full of Victorian furniture; and others utilizing such non-traditional materials as three tons of damp earth and 6,000 cans of Budweiser. 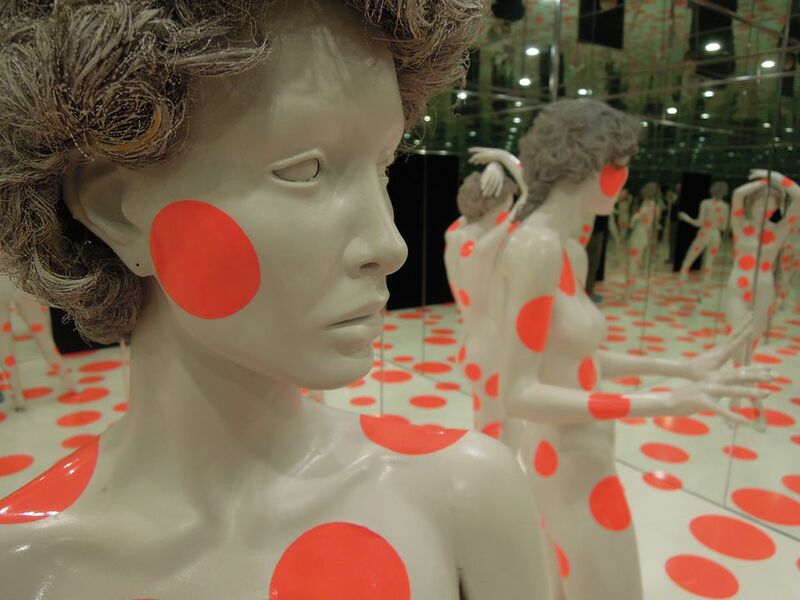 The Mattress Factory maintains a permanent collection of 17 works by artists such as Jene Highstein, Yayoi Kusama, James Turrell and Bill Woodrow, plus new works created right in the museum by artists from Pittsburgh, the United States, Canada, Europe and Japan. The room-sized exhibits invite you to walk in, around and sometimes through the artwork. One of the most interesting exhibitions is outside the building - a tranquil rock garden designed by Winifred Lutz. The MF Café at the Mattress Factory is open Tuesday through Saturday (check the website for current hours) and offers a nice selection of gourmet salads, sandwiches and pizzas. If you want something more substantial, there are many nice North Side/North Shore restaurants nearby. Hours: Tuesday - Saturday, 10:00am - 5:00pm and Sunday, 1:00pm - 5:00pm. Closed Mondays, plus some holidays. Admission: Adults $20, Seniors $15, Students $15, Veterans $10. * Members and children under 6 are free every day. CMU and Point Park University students get in free all year. 1/2 price admission on Tuesdays. Access/EBT Card holders issued by Pennsylvania receive general admission for up to four people for only $1 per person throughout the year. Just show your Access/EBT Card and a photo I.D. at the admissions desk. The Mattress Factory is located in the historic Mexican War Streets of Pittsburgh's North Side. Take I-279S inbound toward downtown Pittsburgh to the East Street Exit. Turn right onto North Ave., north onto Federal St., and left onto Jacksonia St.
* Alternate route (from Etna, Route 28) - take PA Route 28 South, through the shop district. Make a right onto Cedar Ave. and then, at the hospital, a left onto North Ave. Turn right onto Federal St. and left onto Jacksonia St.
Take I-376 West and follow the signs to downtown Pittsburgh. Exit at Fort Duquesne Bridge-North Shore (Exit 1A). Stay in the left lane on the Fort Duquesne Bridge and get off at Exit 7A (North Shore). At the stoplight at the bottom of the ramp, turn right onto East Allegheny Ave. At the third light make a right onto North Ave. Fifth light make a left onto Federal St. and then left onto Jacksonia St.
Take I-279 N toward Pittsburgh, to the Fort Pitt Tunnel. If you're coming from the Airport/West, follow Route 60 to I-279 N. Get in the left-hand lane going through the tunnel, and after exiting the tunnel move over one more lane to the left, following signs for the Fort Duquesne Bridge. After crossing the bridge, take exit 7A (North Shore). At the end of the exit ramp, make a right onto East Allegheny Ave. At the third light make a right onto North Ave.
At the fifth light make a left onto Federal St. and then left onto Jacksonia St. Parking is free in the Mattress Factory parking lot at 505 Jacksonia Street.